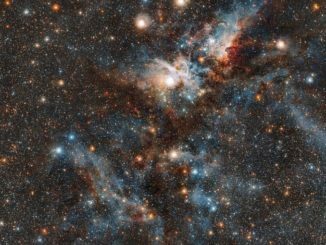 The European Observatory’s VISTA telescope captured this remarkably detailed view of the spectacular Carina Nebula, showing the vast star-forming region in infrared light with countless suns blazing through thin clouds of gas and dust, including the gigantic Eta Carinae binary system. 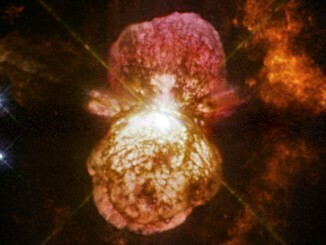 Eta Carinae, one of the brightest, most massive stars in the Milky Way, famously erupted 170 years ago, producing huge clouds of expanding debris. 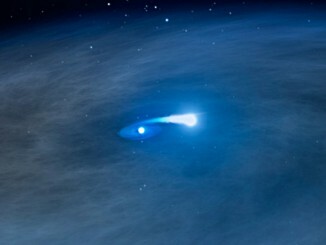 Astronomers studying light echoes from the blast may have found an explanation. 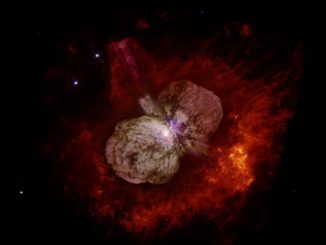 The origins of high-energy cosmic rays are difficult to trace because of the effects of magnetic fields, but data from NASA’s NuSTAR X-ray telescope indicates the massive binary star Eta Carinae is one likely source. 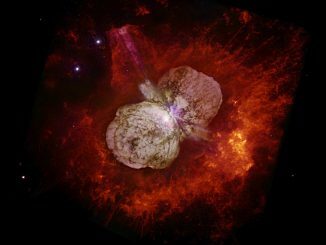 An international team of astronomers have used the Very Large Telescope Interferometer to image the Eta Carinae star system in the greatest detail ever achieved. They found new and unexpected structures within the binary system, including in the area between the two stars where extremely high velocity stellar winds are colliding. 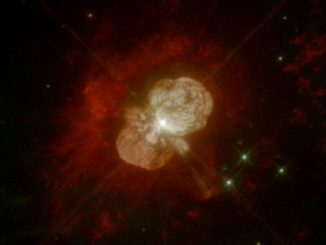 Combining images taken with the NASA/ESA Hubble Space Telescope over more than 20 years, a team of researchers has discovered that Eta Carinae, a very massive star system that has puzzled astronomers since it erupted in a supernova-like event in the mid-19th century, has a past that’s much more violent than they thought. Located about 7,500 light-years away in the southern constellation of Carina, Eta Carinae outshines our Sun by 5 million times. 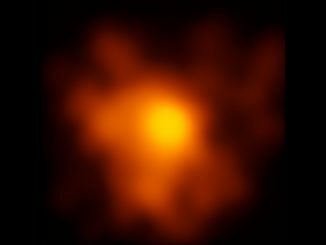 The binary system consists of two massive stars in a tight 5.5-year orbit, shrouded in an expanding veil of gas and dust from an enormous eruption seen in the 1840s. Now a study using archival data from NASA’s Spitzer and Hubble space telescopes has found five similar objects in other galaxies for the first time. Astronomers were surprised to find a disc-like structure around a hefty, rapidly aging star nicknamed “Nasty 1,” which has never been seen before around a Wolf-Rayet star in our galaxy. The star may represent a brief transitory stage in the evolution of massive stars. As we celebrate 25 years of the Hubble Space Telescope, here’s another gem from the archives. The binary star system known as eta Carinae, part of the Trumpler 16 open cluster in the Carina Nebula. 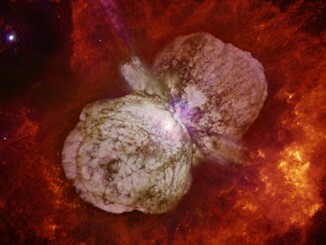 Eta Carinae is the most luminous and massive stellar system within 10,000 light-years of Earth. 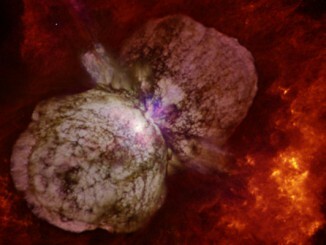 A long-term study led by astronomers at NASA’s Goddard Space Flight Center used satellites, ground-based telescopes and theoretical modelling to produce the most comprehensive picture of Eta Carinae to date.